Muny and Russell gave a welcome on behalf of AFSC and thanked YRDP for providing their office as a venue for the workshop. Russell introduced the facilitator Charmaine Bacongo (known as Eks-Eks), who is an experienced peace worker from the Balay Mindanaw Foundation in The Philippines. 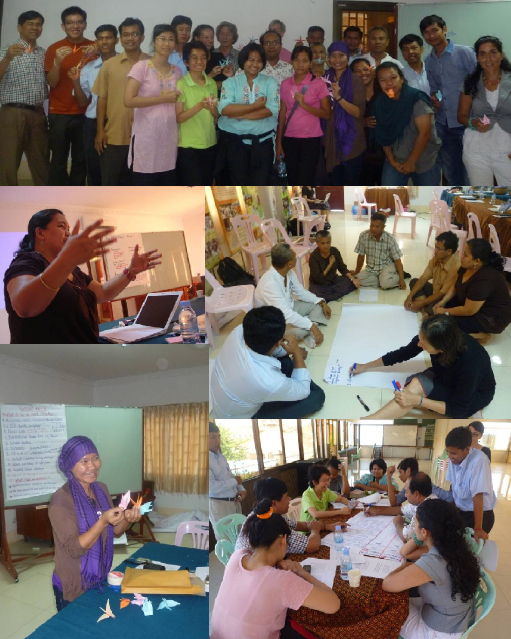 She is visiting Cambodia both to evaluate AFSC?s support to partners and to lead this workshop on Reflecting on Peace Practice (RPP). The purpose of the workshop is to give partners a chance to analyze conflict dynamics, the relation of their activities to peace at-large, and ways to make their work more effective.